My blog has served me well but it is looking a bit dated. Its simplistic structure and tired colour scheme is in need of an update and I have also decided to take the blog in a different direction so that it isn’t so review heavy. I’m focusing more on the geeky side of food, recipes and eating with a family and I felt that I needed a new blog to reflect the changes. The blog address and name will stay the same but if you care to visit on Wednesday it will look very different. I will also be running a competition on the day so pop by and let me know what you think. Thank you to everybody who has sent me products this month. Here is a run down of what we received with our verdict. A great package from Sainsbury’s in time for Easter. 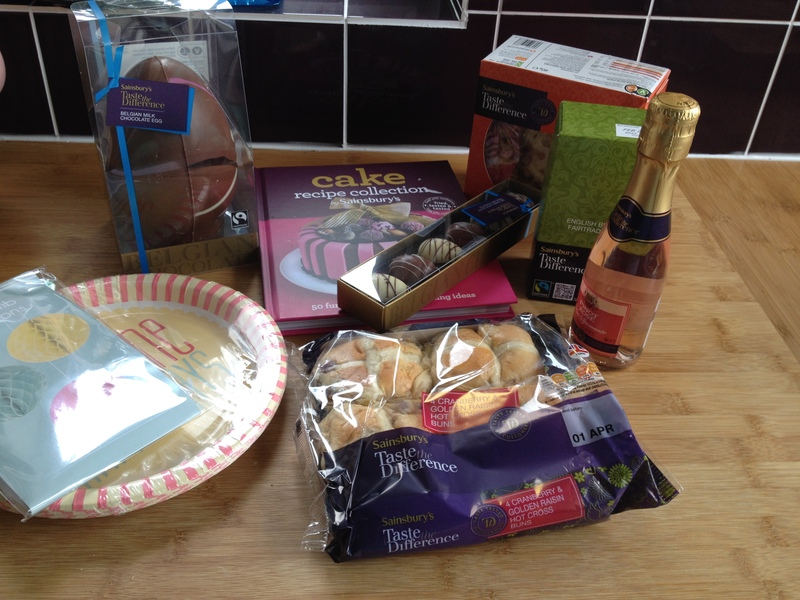 Hot cross buns, carrot cake, loose leaf tea, a little bottle of sparkling wine, some Easter eggs and a cook book. I also have another cook book to give away as a prize in a competition next month. 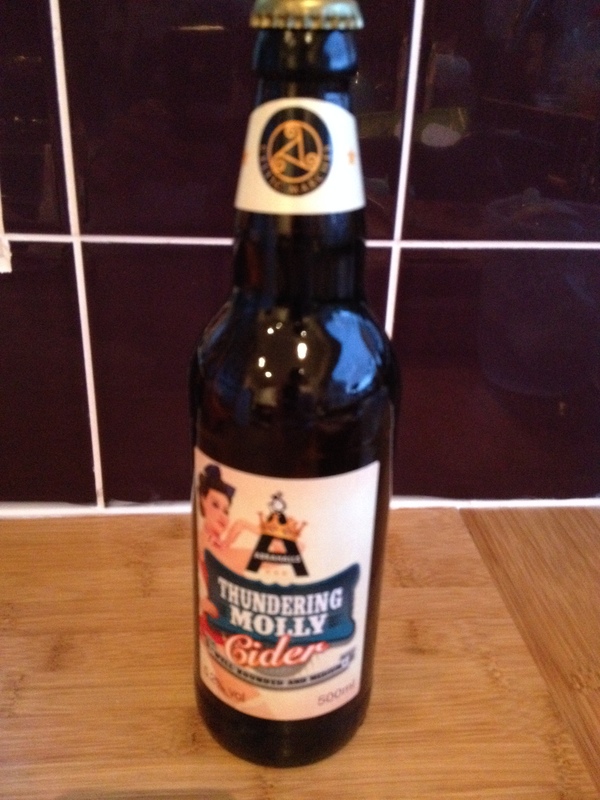 Celtic Marches sent us their latest bottle of Abrahalls latest cider Thundering Molly. 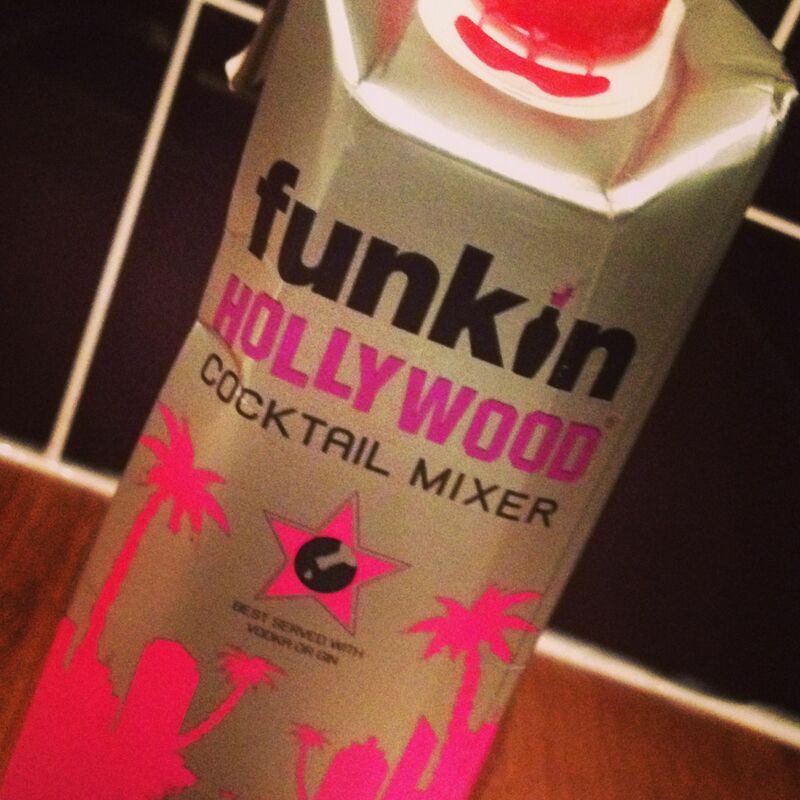 Crisp and fruity, it went down very well. We particularly loved the branding. Very quirky. 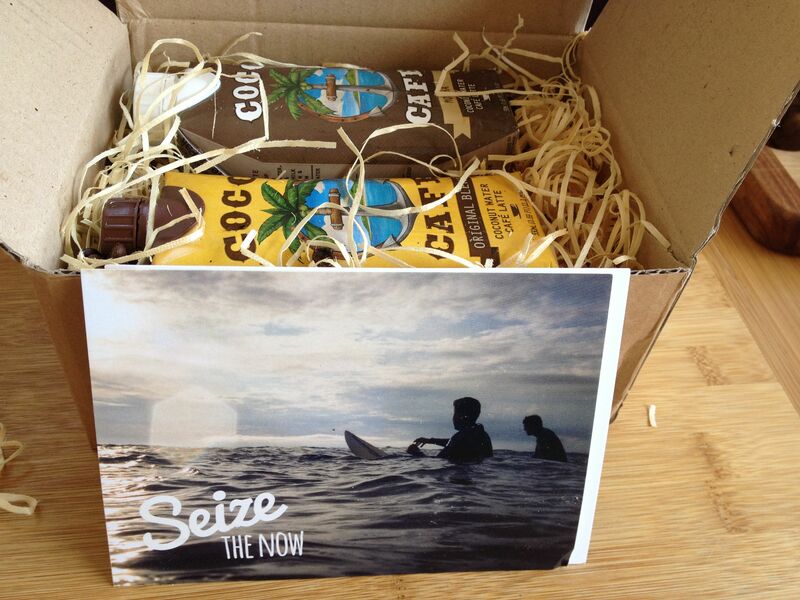 Coco Cafe is a ready to drink blend of coconut water, organic fair trade coffee and semi skimmed milk. We had an original blend and a mocha. Both were delicious. I can’t say that I could taste the coconut but they were light and refreshing. Something I would definitely buy again. 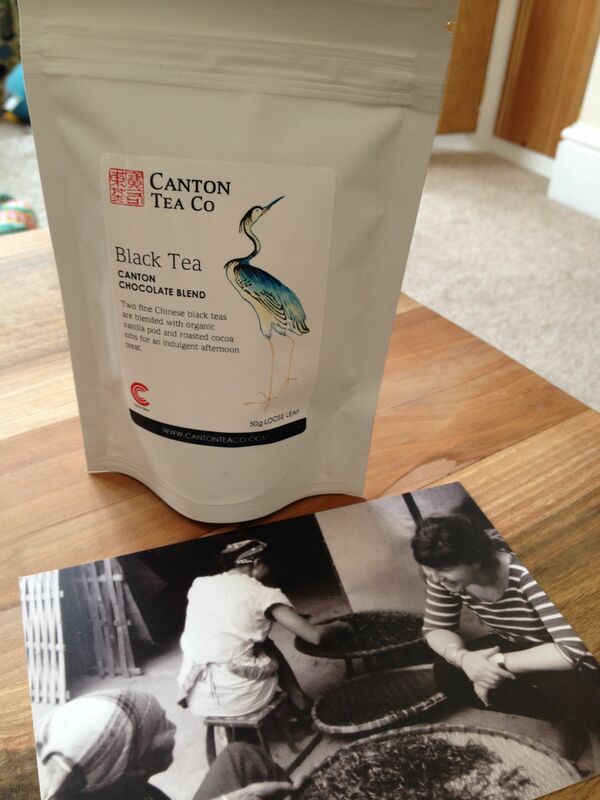 I already shop at Canton Tea but I had never tried this particular tea. It was sent to me following a tweet about how I didn’t like the sound of chocolate tea in the hope that I could be converted. I am, it is delicious. 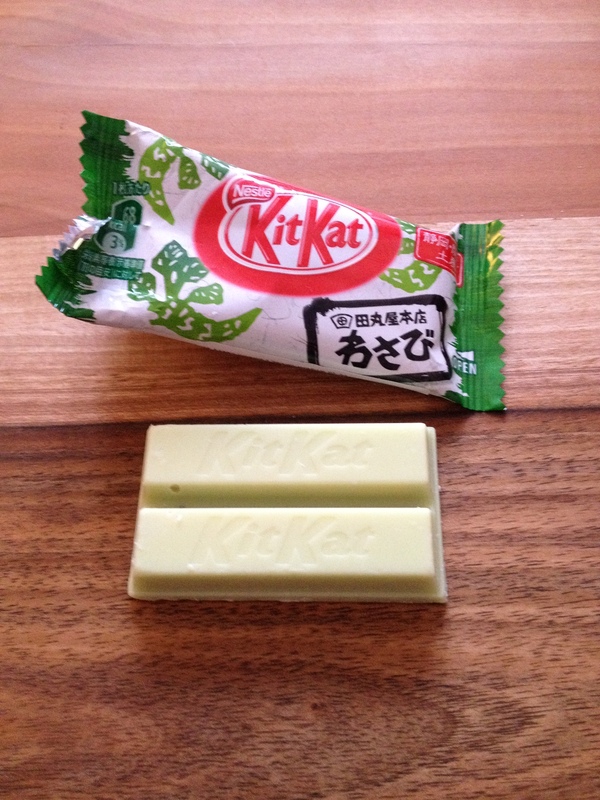 Since my obsession with Japanese Kit Kats began there is one I have been desperate to try- Wasabi flavour. It pretty much sums up why I love these things. Strong, unusual flavours that in no way go with chocolate. For me the more bizarre the better and this one seemed pretty strange. The fact that it took me so long to get hold of only made me want it more. I was actually a little disappointed to find that it was actually very nice. In contrast to the kicky taste I’m used to with its slow rising burn, the wasabi was very subtle and actually complimented the sweetness of the chocolate. I had never visited French food chain Le Bistrot Pierre until I was invited to sample the food at their latest addition on Caroline Street in Cardiff. Those of you who know Cardiff will probably know the location better as Chippy Lane, notorious for fights and filthy late night fast food. However, Le Bistrot Pierre isn’t nestled in amongst the chip shops, it’s on the corner of the Brewery Quarter, a popular area for those who like their well known chain bars and restaurants and it fits in well with its neighbours. Le Bistrot Pierre say that they are a chain but that each restaurant is styled individually. This particular establishment was well designed with leather look booths, vintage French style furniture and street lamps not unlike rivals Cafe Rouge and Browns but it definitely had that ‘chain feel’ about it. 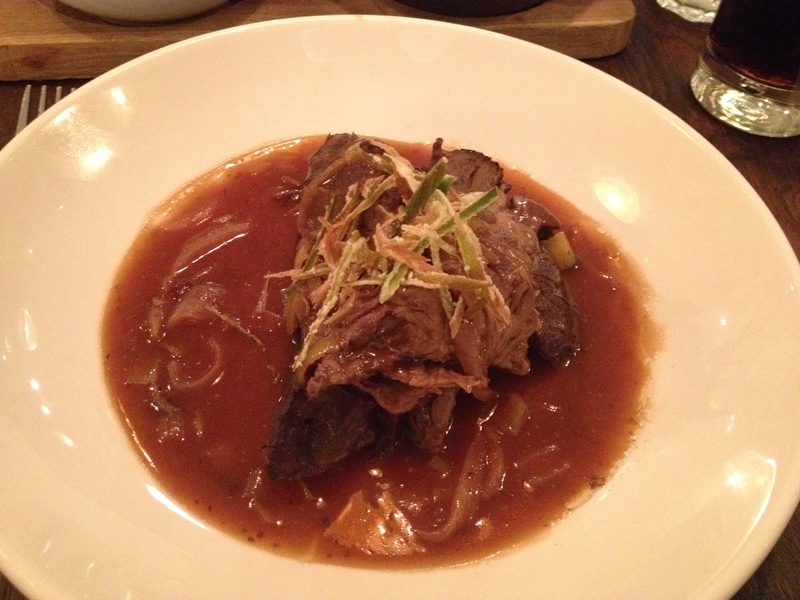 We went on a Tuesday which meant we were able to sample the Soirée Gastronomique; a six course set menu for £22.95. Sounds like a bargain eh? It certainly seemed popular because there were only a few tables free when we arrived at 8pm. However, we did struggle to see any sign of the menu we had been promised. We eventually spotted it advertised on a small board behind the booths on the way to the kitchen. We were eventually brought a paper copy of the menu but not before being given the a la carte to peruse. Food arrived quickly but by the time we were brought our starters we had already been served by four different waitresses. Personally I prefer it when one person is assigned to a section so as a diner you know who is serving you and you know who you are tipping. 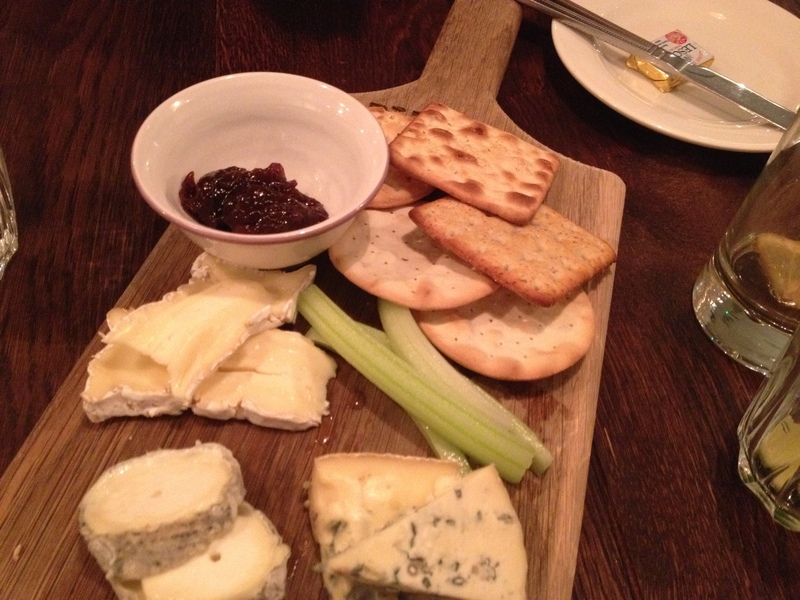 It also prevents problems like we experienced later when we agreed a break between our dessert and cheese course and then the waiter went on a break or home leaving us waiting for a very long time as no-one seemed to know we hadn’t had our cheese. Anyway, the food was very nice and excellent value for money. 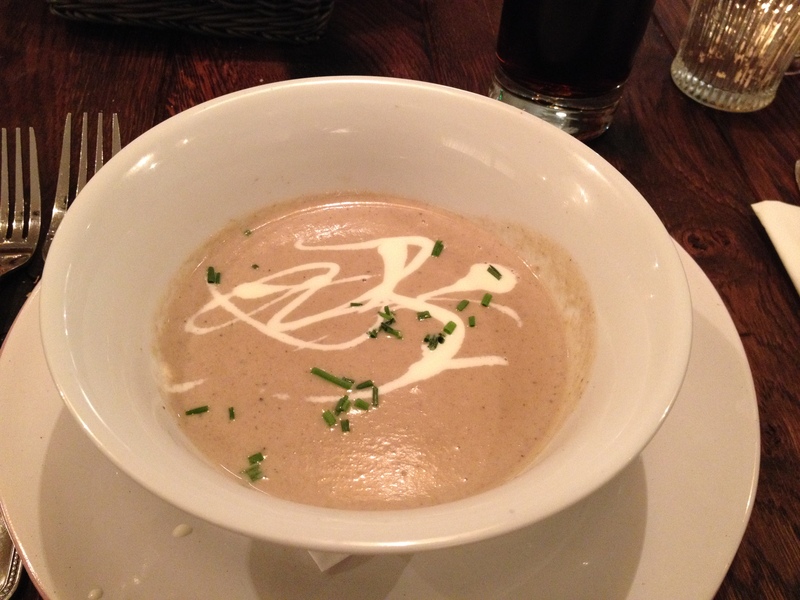 To start we had creamy wild mushroom soup with chives. It tasted good but was very salty. 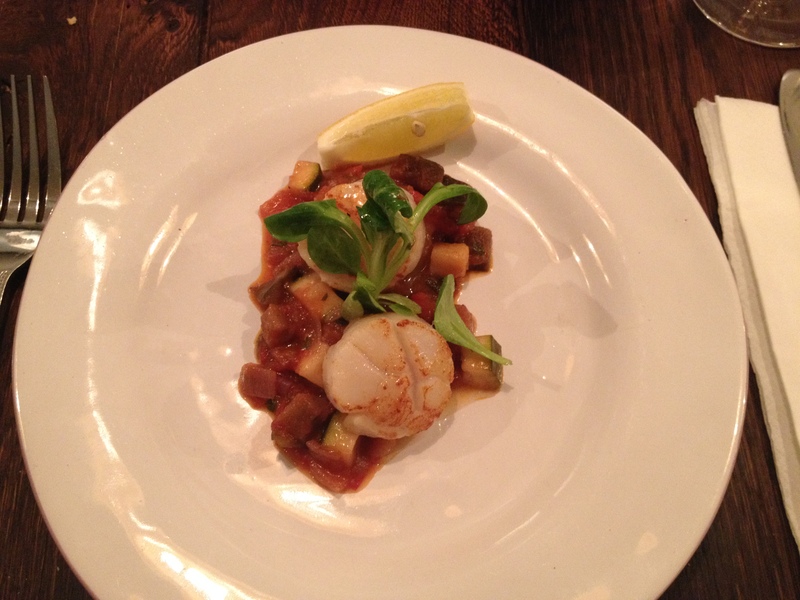 This was quickly followed by the fish course; pan fried scallops with ratatouille. We thought it seemed like an odd pairing but it worked. The scallops were cooked nicely and it was light and fresh. For the main course there was a choice of two dishes so we picked one each. I had Limousin beef, slow cooked with red wine and moutarde violet te de brive and Mr V had breast of chicken in a mushroom jus. Both meats were cooked very well and the meat portions were very generous. 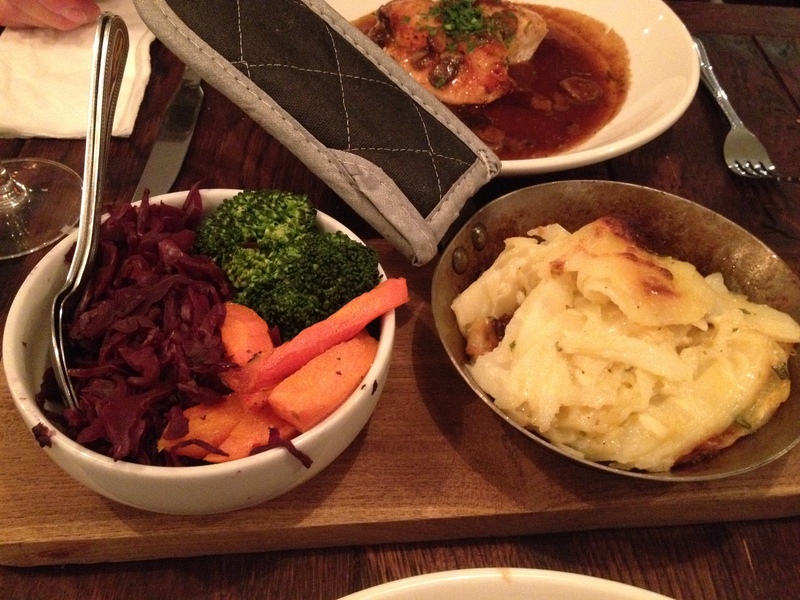 Our side dish of potatoes was especially good. However, when it came to the accompanying vegetables the dish was mostly cabbage with a small amount of broccoli and carrots placed on top. It seemed a shame to be so economical with the vegetables when they were so generous with the meat. Dessert was creme brulee, a favourite of mine. Sadly it was very disappointing. 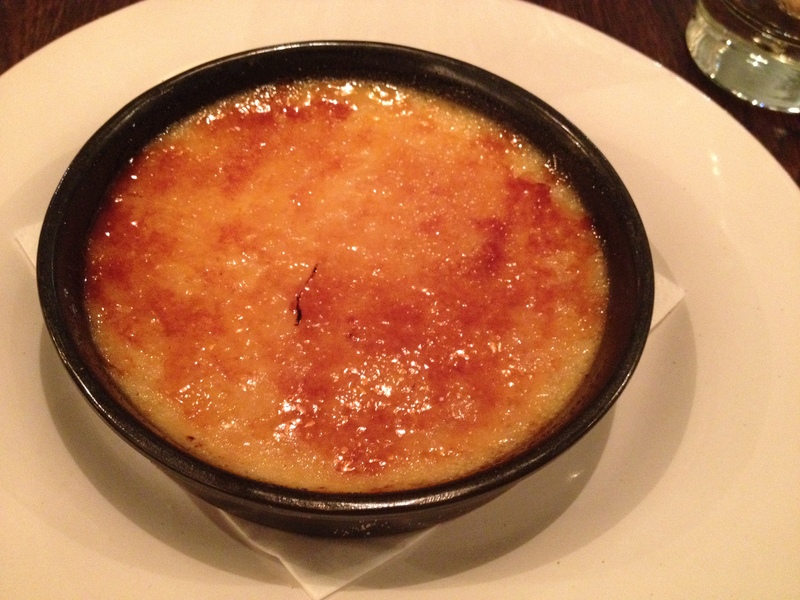 I’m used to my creme brulee arriving in a deep dish so you can tap through the crispy top into the creme anglaise below but this was served in a wide shallow dish and spread so thinly that we ended up with more sugar than custard with every mouthful. Mr V couldn’t finish his. I persisted but I can’t say I enjoyed it much. The cheese board was nicely presented with three different cheeses and the meal was finished with a freshly brewed coffee and chocolates. We left feeling full and agreed that if we had been paying customers it was very good value. Aside from the issues mentioned above, staff were friendly and knowledgeable and there was a good atmosphere. Other than the creme brulee, the food was good but forgettable. If you like your chain restaurants, I’d say Pierre is a good option but with so much choice in the city centre, I’m afraid it didn’t stand out for us. As anticipated, this year’s Great Roath Bake Off was the biggest yet. Organiser Wayne Courtney and his army of volunteers did an amazing job keeping everything in check and making sure the judging ran smoothly. I’m not sure how many cakes we ate this year but it was over 100 between us. I was really impressed with the quality of the entries. The winner of the professional category, Gareth Davies is an absolute genius! I was actually sad to eat his entry, it was a work of art. First into the Sweetie Jar go my collection of Japanese Kit Kats. I have become quite obsessed with these little beauties! I’ve tried 21 flavours which doesn’t even scratch the surface. There are literally hundreds in Japan. My favourite flavour so far is Cinnamon Roll and the worst in Matcha Green Tea. 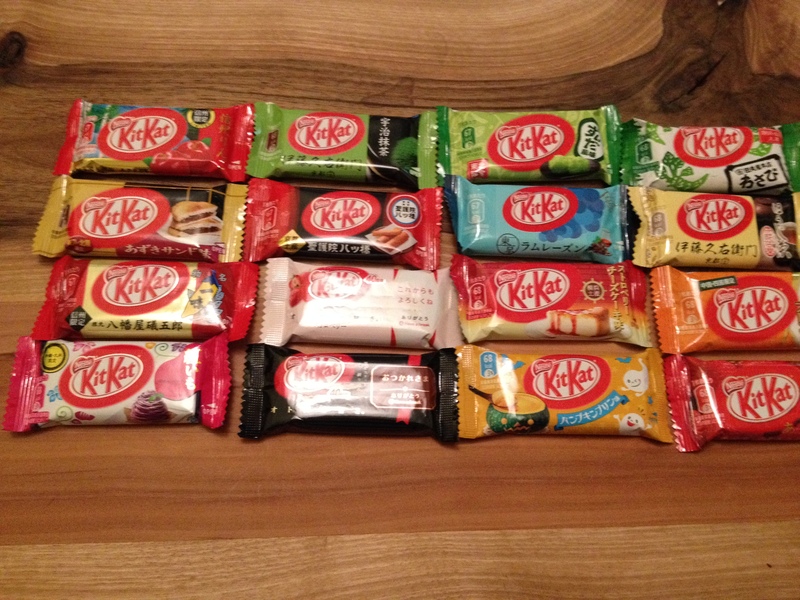 I won’t go into too much detail because you can read about my Japanese Kit Kat obsession on the blog. I’m very excited by Japanese sweets at the moment so there will be many more going into my Sweetie Jar if I can get my hands on them! You’ve probably seen the posters and billboards all over Cardiff. This year’s Great Roath Bake Off is going to be huge! 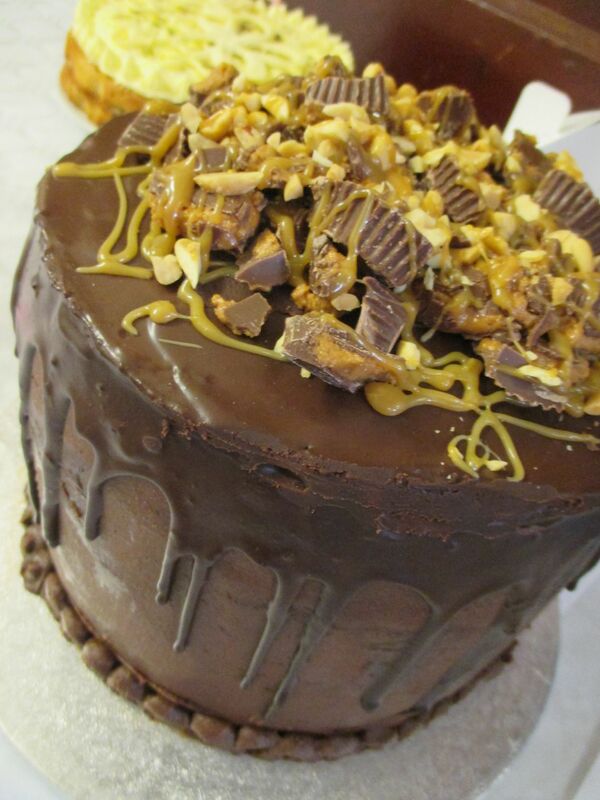 Since starting in 2012, the bake off has grown and developed and this year it is set to be the best yet. With celebrity judges, more categories, live music, stalls and raffles, organiser Wayne Courtney has gone all out. 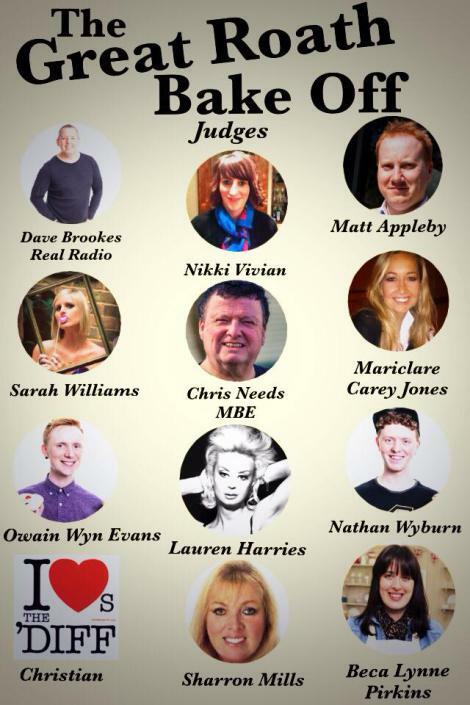 As well as the celebrities, I will also be judging again along with Sarah and Marie-Clare from The Cakehouse and Matt Appleby from Easyteas. If you’d like to enter, The Great Roath Bake Off will take place on Saturday 12th April at St Andrew’s Church Hall at 11am. 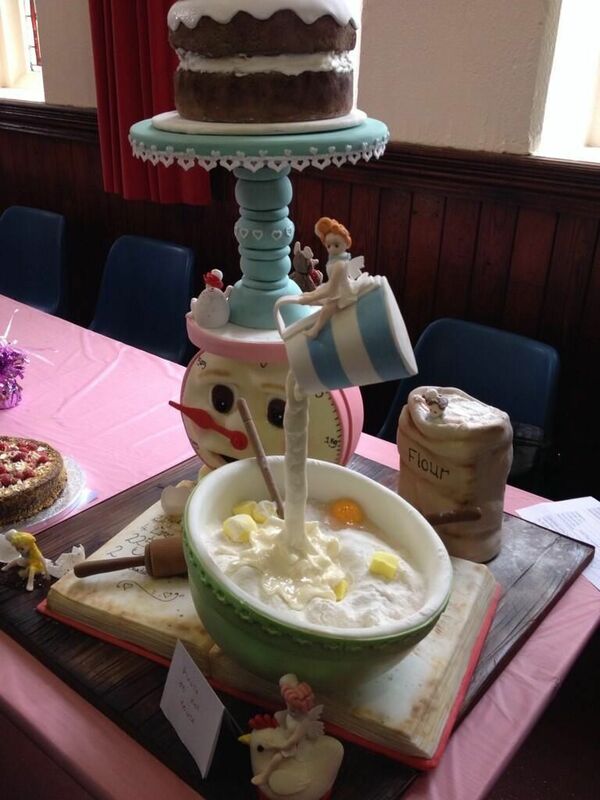 As well as the main Bake Off, where there will be three categories: Best Cake, Best Bake (bread/pies) and Best Professional Cake, there is also a Junior Bake Off for under 16s. Entry to each category is £3, with all proceeds going to charity. You can find out more here. I’m off to find some stretchy trousers! As I’ve got older I’ve started ‘collecting’ things. My collections are of a foodie nature; teacups, vintage plates, Japanese Kit Kats, with my latest fad being sweets. This really stems from my fascination of the Japanese confectionary market. They have so many imaginative products and they appeal to me because of the variety of flavours. It’s not just Kit Kats. Have you seen how many Pocky flavours there are? It’s not only Japanese sweets either, I’ve tried some very interesting sweets from other parts of Asia, Scandinavia and America to mention a few. If I like something and there are lots of flavours or varieties I’m hooked. I’m lucky enough to have travelled a fair bit in my life and I’ve come across some really interesting finds. I’m really enjoying seeking out foreign and unusual varieties of sweets and I’ve decided to keep track of my finds here on my blog with a collection of posts. 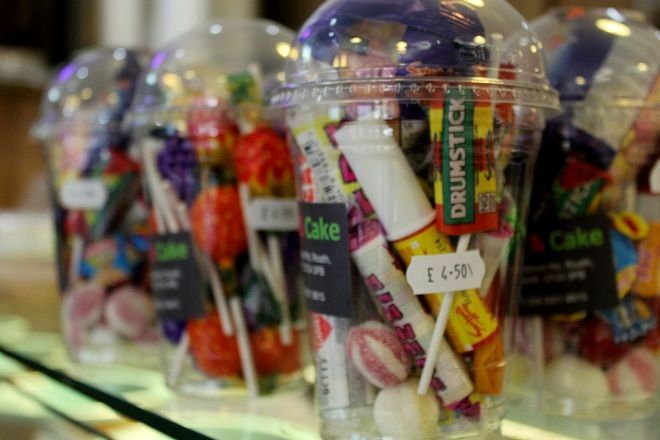 I’m on the hunt for anything new, unusual, or sweets I’ve tried previously on my travels for my Sweetie Jar. If you have any recommendations or good sources, please get in touch and help me out. Incase you haven’t read my previous posts, Foodie Penpals is a great scheme set up for food lovers and bloggers all over Europe to exchange food parcels. You are paired with two people (one to send to and one to receive from) and you each have £10 to spend. It’s a great way of trying new things and learning about other food blogs. This month I was paired with two ladies based in Glasgow. I sent my parcel to Cat and was sent a giant box of goodies from Michelle. It must have cost her a fortune to post! Aside from being ginormous, it was a very thoughtful box. 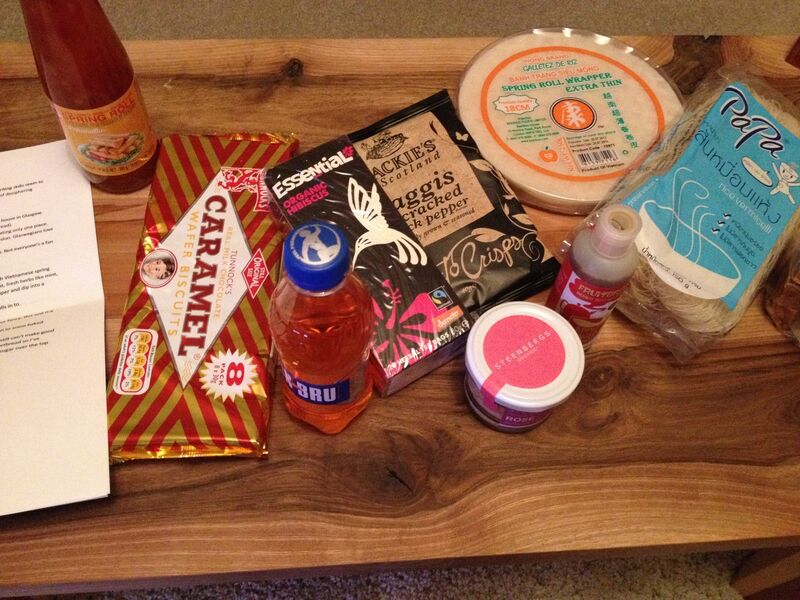 Michelle asked me lots of questions about what I like and sent me a range of products based on my preferences and local products from Glasgow and Scotland. There was an Asian theme running through the box with rice paper rolls, spring roll sauce and vermicelli noodles. The basis for making Vietnamese spring rolls which I love! Michelle also included some of her own dipping sauces recipes. This was because I said I liked Asian flavours. 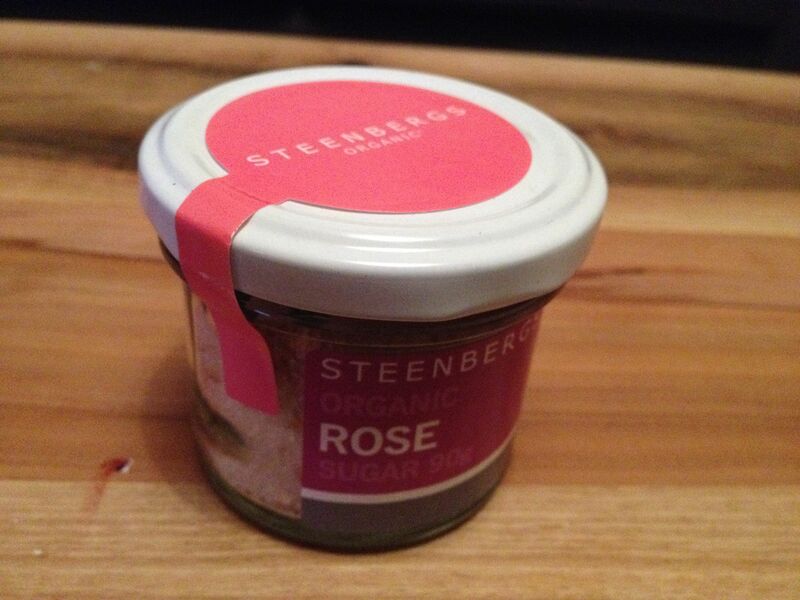 I also mentioned that I liked floral flavours so Michelle sent me some lovely rose sugar. I will definitely make use of it, especially as she sent me a short bread recipe too. In terms of local products, I had haggis crisps, some fudge, Iron Bru and some caramel wafers that are made just down the road from my foodie penpal’s house. To wash it all down with I was sent some Hibiscus tea (because I said I liked tea) and an intriguing drink called Fruitboo. I haven’t tried it yet but you basically just add water. Looks interesting. Thanks to Michelle for my fantastic box. If you would like to know more about Foodie Penpals in the UK and Europe, have a look here. Own brand tea might be a no-no to some people but when it comes to tea bags, I think many of the super market brands are just as good as the leading brands, including these Aldi tea bags. 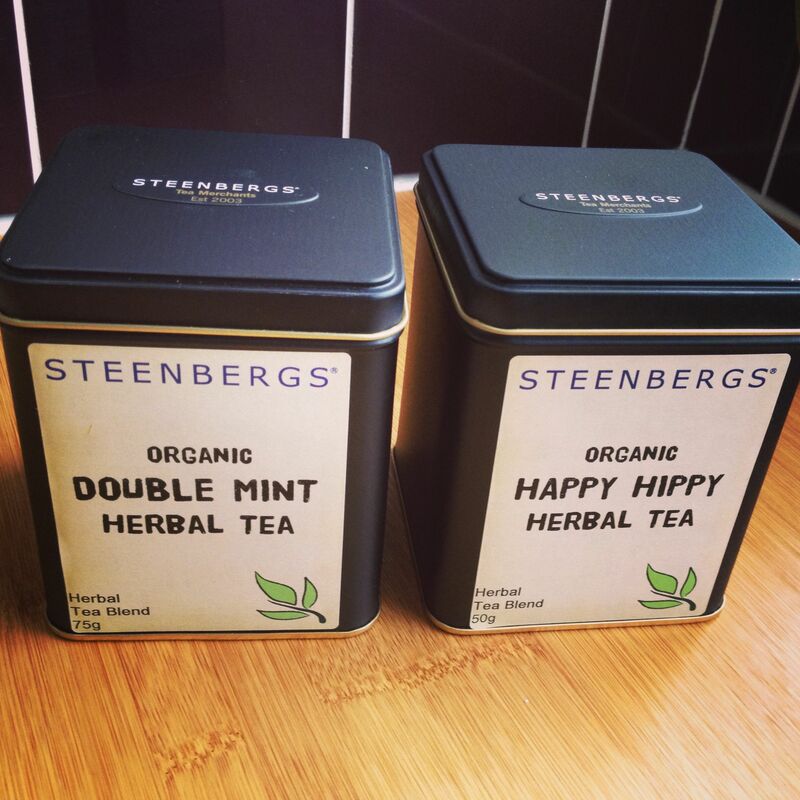 More tea, this time from Steenbergs. 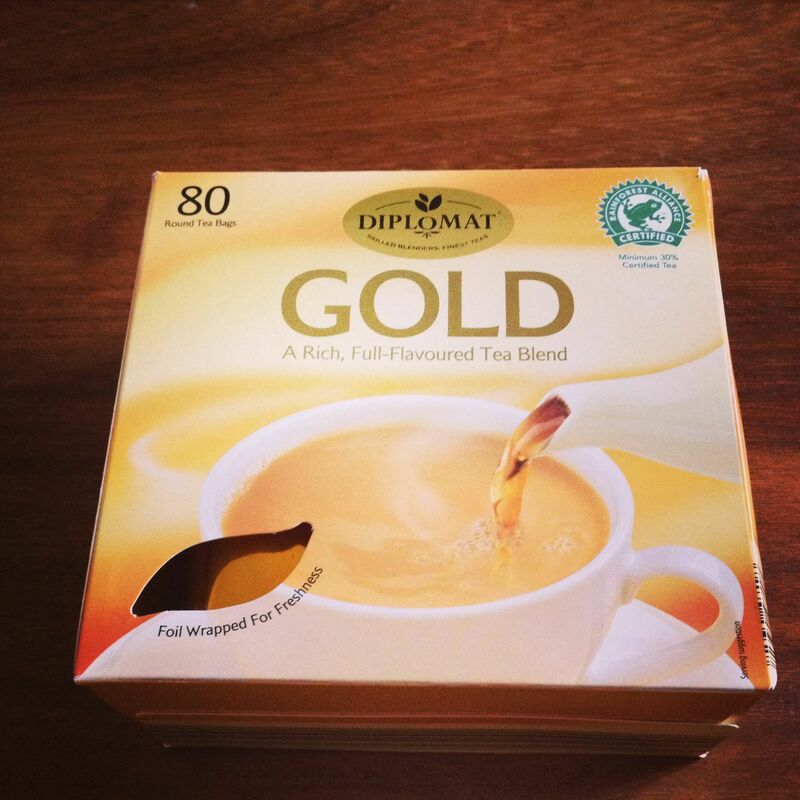 I struggled with this one because nowhere in either of these products was any actual ‘tea’. The mint variety was just two types of dried mint so I decided that I would probably be more likely to cook with it. 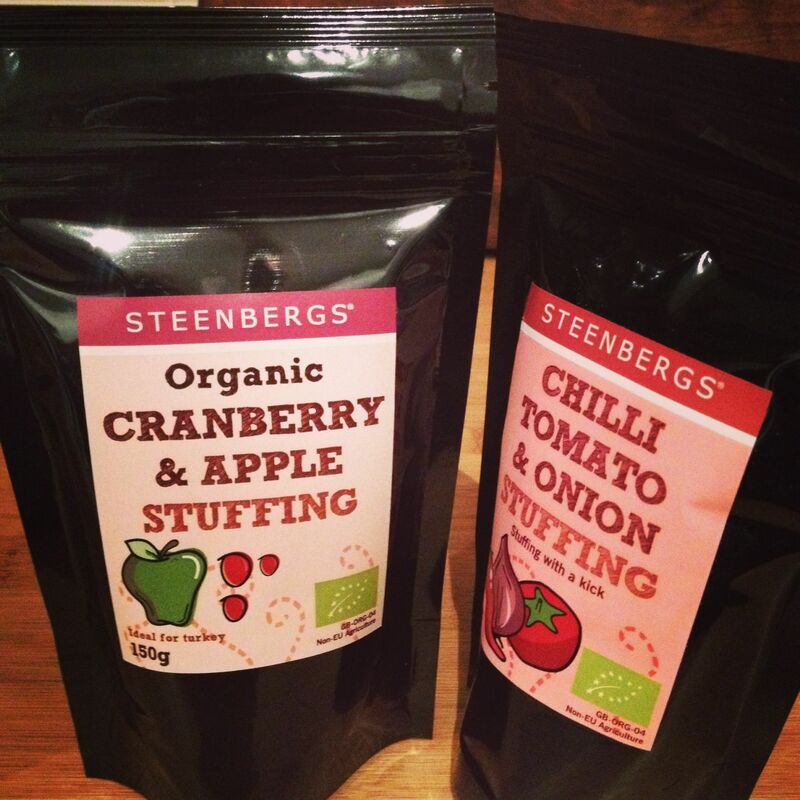 I don’t use packet stuffing so this product isn’t something I’d use on a regular basis but if you do, these Steenbergs ones were some of the nicest I’ve tasted, especially the chilli one. I was quite excited by the prospect of a chocolate shot. Unfortunately, although nice, it is more of a chocolate sauce than a liquid chocolate. At 14 calories a spoonful, I did find myself squeezing it into my mouth on more than one occasion and it’s nice with milk as a hot chocolate but not a cupboard essential as suggested.